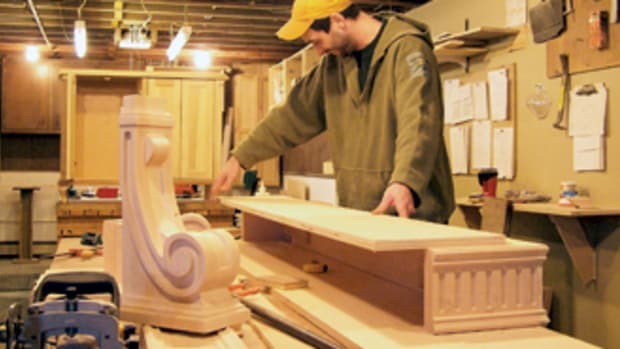 If you begin working in your dad&apos;s shop at the age of 12, by the time you&apos;re 50 you&apos;ve learned a tremendous amount about the custom woodworking business. 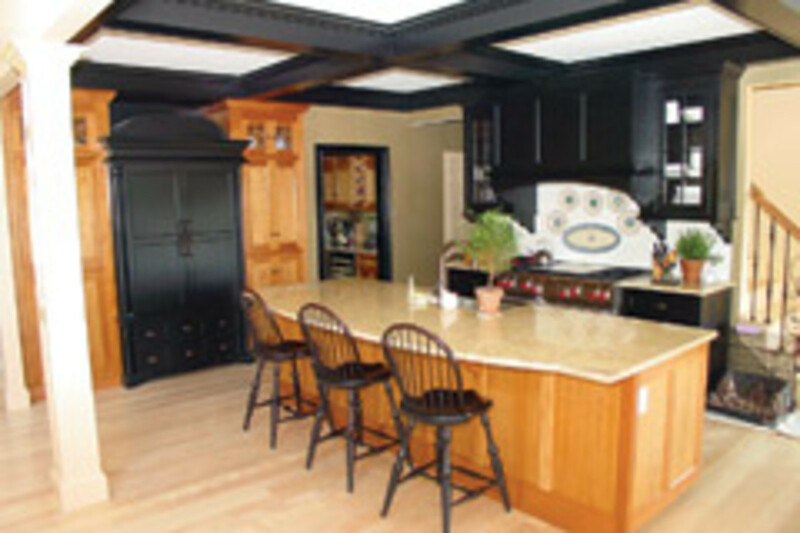 And that is the story of Michael Marion, owner of Custom Wood Designs in Hampden, Mass., a shop that specializes in high-end kitchens. His dad, George, better known as Bucky, founded the business in 1967 and worked for many years with only a part-time employee or two and his young son. "I worked after school every day and weekends were always working in the garden or stacking lumber," recalls Michael Marion. "By the time I was 12, I was getting a weekly paycheck. Times back then were different than they are now. When he went full time I was just a kid, but helped with whatever I could and you were expected to. So every day after school, I&apos;d work from 3 to 5, stop for dinner, then 6 to 9 every night. "My dad&apos;s business was called the Country Pine Furniture Shop back then and, as you can guess, we did a lot of pine furniture. 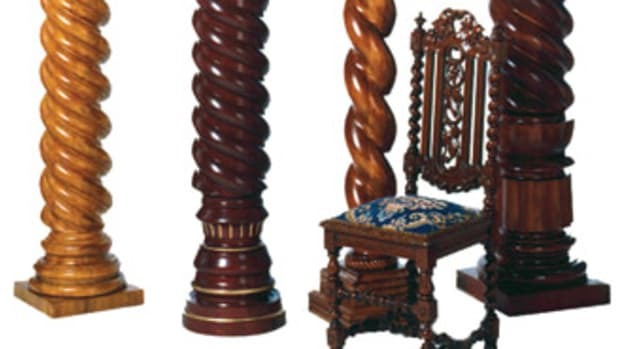 It was really nice quality, but when you built pine furniture back then, people didn&apos;t expect to pay much money. So that is why I changed the business because people would always call up and ask if we did anything else besides pine. I changed it into something more appropriate." When Bucky Marion passed away two decades ago, Michael became the owner of the family business and decided diversification was in order. 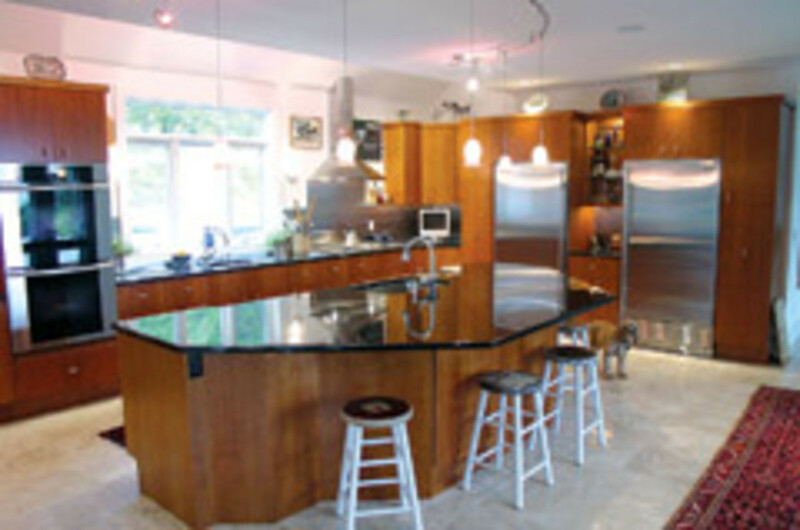 Custom kitchens became the main product - about 80 to 85 percent of the business - and have remained so throughout the years. Kitchens have a nice profit margin, but many woodworkers aren&apos;t into building boxes. Marion has a different viewpoint. "The clientele we have don&apos;t want cookie-cutter kitchens. Everything is always different and a lot of them are very challenging, especially working with different decorators and architects. It seems like every kitchen we do, there is always something new to learn and do differently. And we still do furniture in between kitchens. "If I had my way, I&apos;d just make furniture, but I like to make money. Basically I get the guys working on a kitchen and keep after them about the schedule. If there&apos;s a call for furniture, it might take me three to five months, but I&apos;ll build the piece on the side." 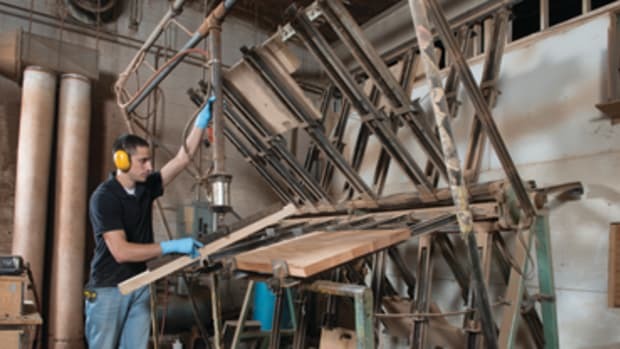 The shop&apos;s reputation for quality work has generated a great deal of repeat business. Marion is also fortunate to have tapped into some affluent markets away from his shop in central Massachusetts. 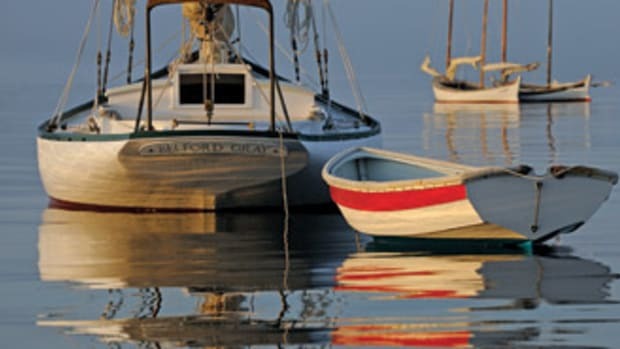 "We have a lot of clients on Martha&apos;s Vineyard; in 2010 I think we did five houses on the Vineyard. I&apos;ve been working out there about 15 years with a local contractor. And I&apos;m doing a job now in Manhattan and the next job is in Greenwich (Conn.). We go all over the place." 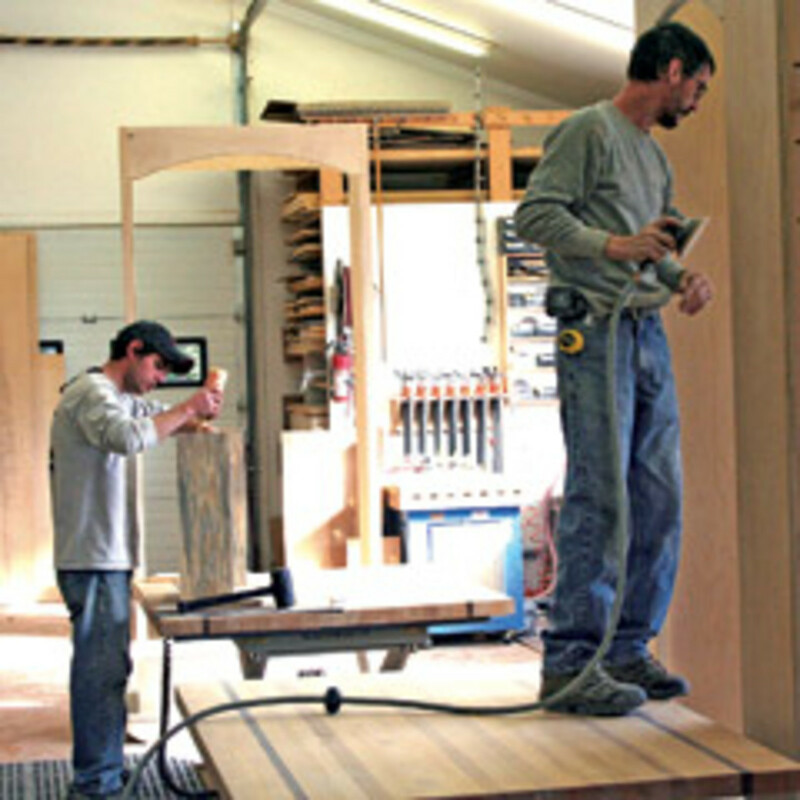 The shop provides lumber drying and millwork services and finishes all of its products in-house. However, countertop fabrication and cabinet installation are subbed out. "We have our own kiln to dry our lumber and if someone wants a board milled, we&apos;ll mill a board for them. No job is too small for me and that&apos;s how we&apos;ve always approached things around here. We&apos;ll run a piece of wood through our wide belt sander or build a customer a set of cabinet doors, if that&apos;s all they need. We&apos;ll charge them accordingly and treat them fairly." Ask Marion about design and the immediate response is Cabinet Vision. He is a dedicated customer. "I&apos;ve been using it for 10 years," he says. "I used to draw everything by hand. This is so much faster and I can edit. I design the kitchens on the CAD program and send it to the saw, which optimizes the cuts and labels the parts for assembly." But with all the paperwork and design responsibilities, Marion no longer spends much time in the shop, except for building the occasional furniture piece. He&apos;s still to learning to adapt to the changes that have taken place. "I have to think more," he says. "I&apos;ll get into building a piece of furniture and the phone will ring, leading to a bunch of unrelated stuff that has to get done. When I get back to building, it can be hard to switch gears. You forget what your thoughts were and how you were getting to the end point; it&apos;s just more work." The shop is well-stocked with the finest machinery, particularly for a large volume of veneer work. 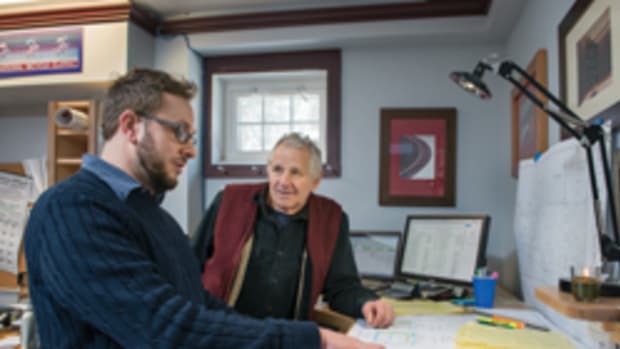 "We do lots of wall panel runs for people, wall elevations and things like that," says Marion. 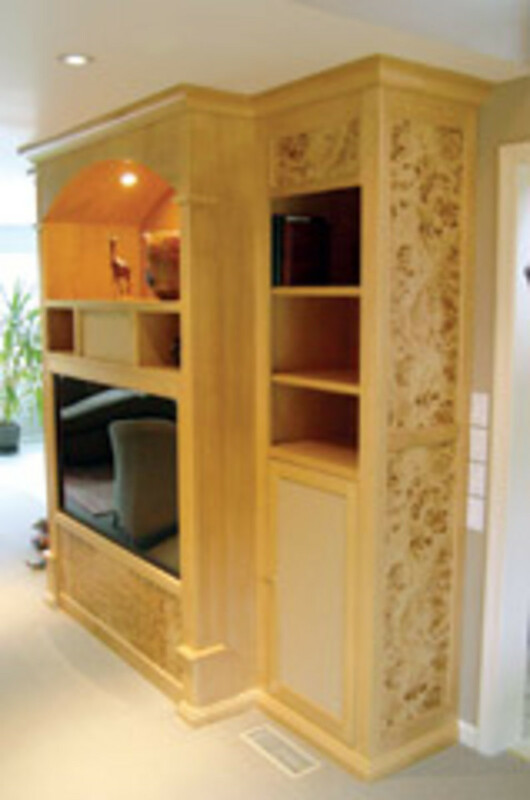 "We usually use a formaldehyde-free MDF [substrate]; it&apos;s a better product for veneering. We really try to avoid plywood. Good quality of the core is tough to get. We have two splicers and two beam saws; a 12-footer and a 13-footer. Then we have a veneer stitcher, a veneer splicer and two hot presses - a 5x10 and a 4x8 that we use mostly for cold pressing." 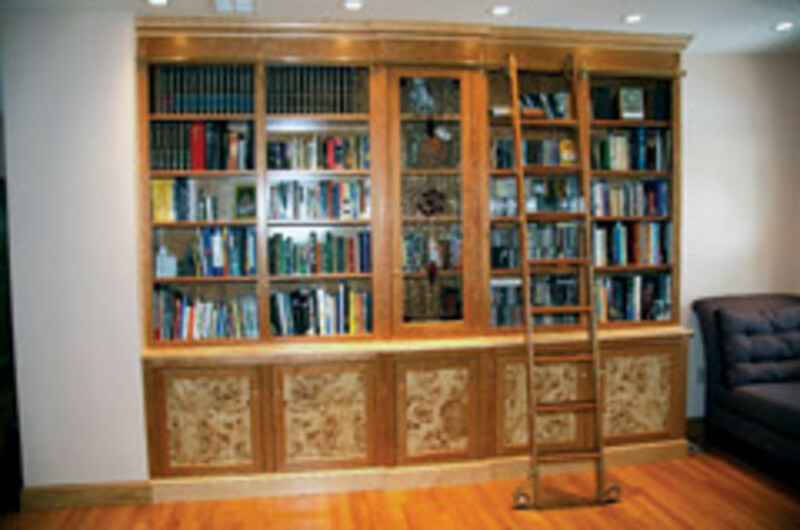 Face-frame cabinetry accounts for about 90 percent of the shop&apos;s orders. "It is much more furniture-looking and we&apos;re set up to do it now, so it&apos;s easy," says Marion. "I get my veneer from all sorts of places; some from Certainly Wood and some from eBay. It&apos;s reasonable and you can find some really nice stuff. We get a lot of our solids out of Downes & Reader in Stoughton, Mass., and I&apos;ve used Highland Hardwoods out of New Hampshire. I also get some wood out of the local sawmills." 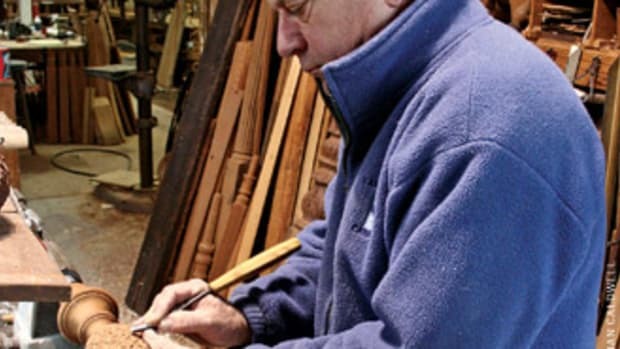 Since the days of Pine Country Furniture, the business has changed dramatically. 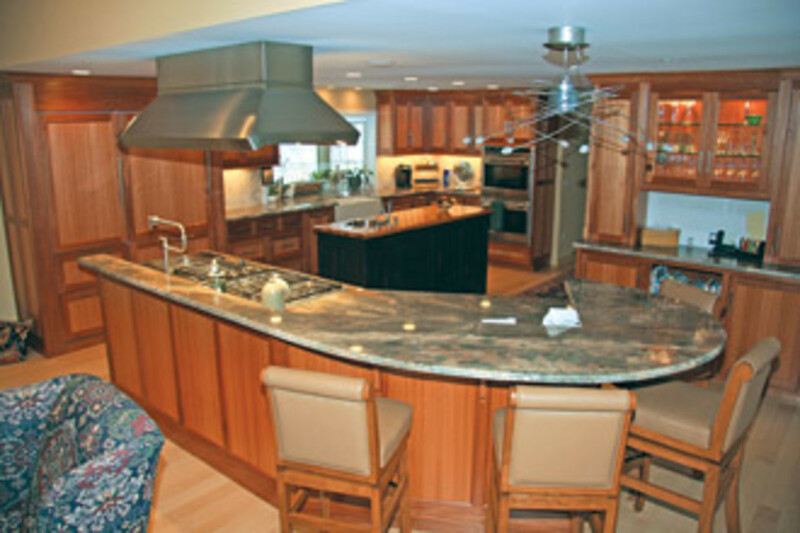 High-end kitchens, occasional custom furniture pieces and other assorted jobs have built up the company&apos;s reputation. The last few years have been an inexplicable yo-yo in terms of business. Marion is at a lost for words to try to explain it.